The rustic fishing village of Beigang in Pingtan, has foregone the wooden boats and seaweed entangled nets of the past, in favor of becoming a trendy seaside resort. With the fishing industry on the wane in recent years, the government didn't side idle, and proactively sought about transforming the quaint village into and ideal area for visitors to come and experience the sights and sounds of living on the coast. 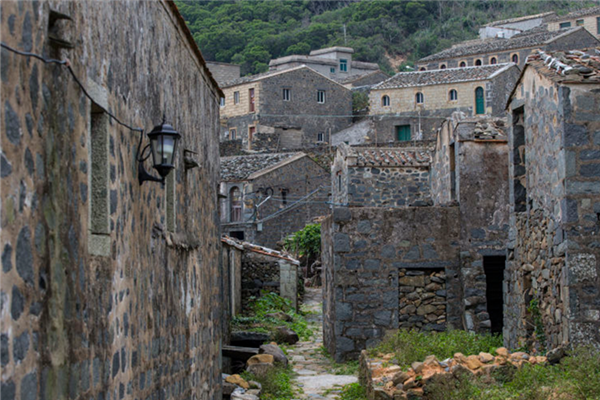 The salty sea breeze, the crash of the waves on the harbor walls, and the traditional stone-built houses have become a major draw card for potential visitors. Built in the Qing Dynasty (1644-1911), many of the stone houses were the homes of local fishermen. Today, they have been refurbished and redecorated to become unique and bijou homestays for discerning travellers. Complete with all the latest mod-cons such as electricity, internet, heating, the houses retain their charm, embodying features of both Pingtan and Taiwan. The bare stone walls are decorated and dotted with items and imagery of the village’s fishing past, such as old nets, oars, ands bits of driftwood. The houses are proving popular, with visitors come from near and far to experience life and the unique cultural landscape of a coastal fishing village.